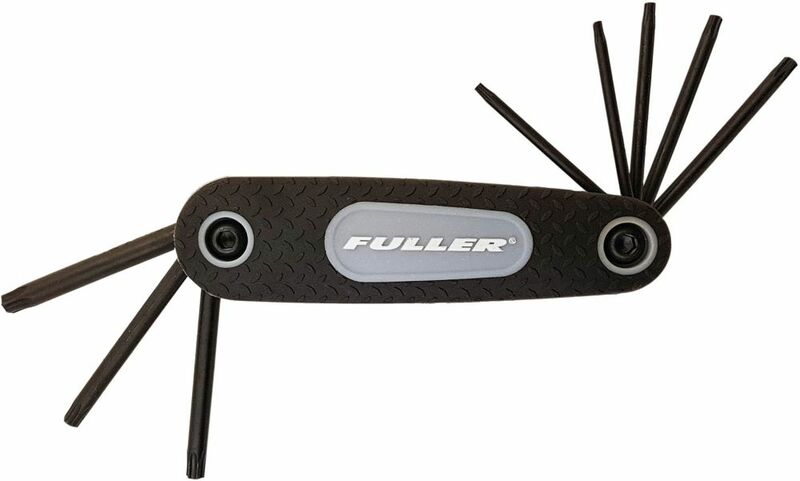 Designed to endure years of heavy use under the toughest of conditions, this 15-inch adjustable wrench offers the quality and value that professionals demand. From the comfortable cushion-grip handle to the non-stick adjustment mechanism, this tool was engineered to work hard -- and last -- for a long time. A superior grade of chrome-vanadium steel makes this adjustable wrench extremely durable, while the slim-profile head makes it easy to work in tight spaces. 8-Piece Folding Torx Key Set with Non-Slip Grip Chrome-vanadium steel blades on this 8-piece torx key set means long life and years of trouble-free use. Colour-coded in yellow for easy identification in your toolbox or on your workbench, the textured rubber inlays provide a more comfortable grip, while the chamfered tips allow for ease of entry into hexagonal openings. The handy folding feature means no more looking for lost torx keys.